Another promising youngster has gone out on loan - for a third spell. Peterborough United have agreed a deal to sign Chelsea full-back Ben Gordon on loan until 2 January. The 20-year-old played in this summer's Under-20 World Cup in Colombia, where he made two appearances for England. He was loaned to Kilmarnock and Scunthorpe last season, playing 21 games in Scotland and 13 for the Iron. The defender links up with Darren Ferguson's side as they return to the second tier following promotion last season. He is unlikely to figure in Wednesday night's trip to Millwall but could make his Posh debut against Ipswich on Saturday. He has been handed squad No.18. 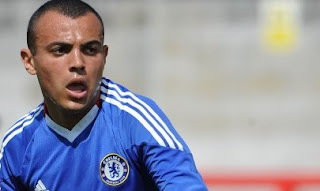 Initially a Leeds academy player, the left-back joined Chelsea in 2007 and has yet to make his senior debut for the Blues.